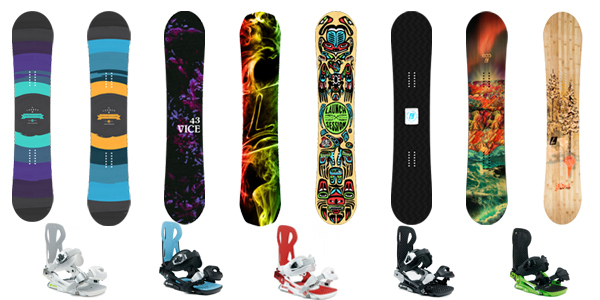 Recycle your old board and get a ripping deal on a new complete!! !! 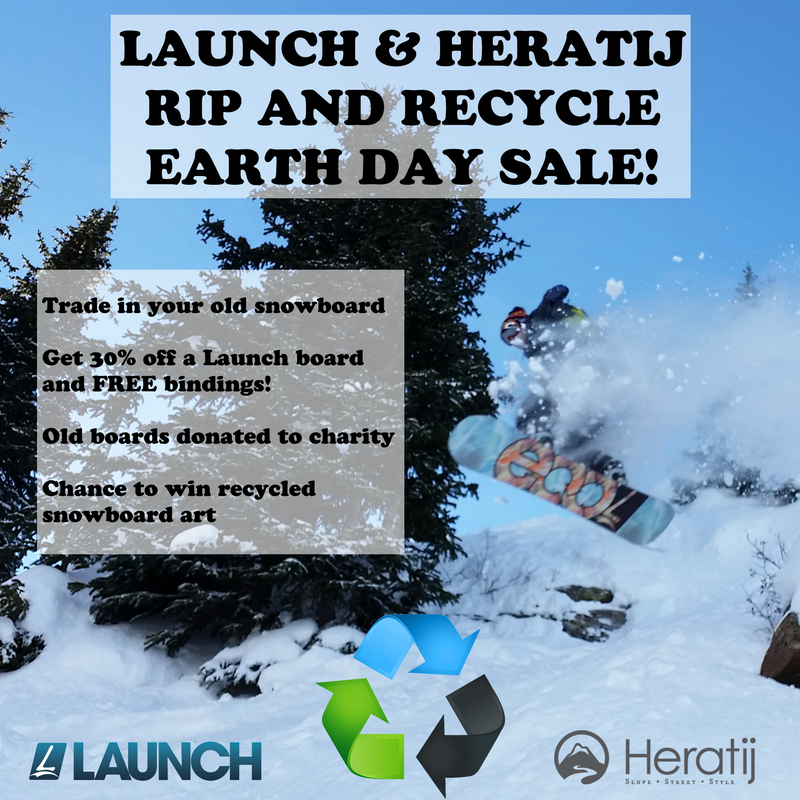 OvRride, Saranac and Launch Snowboards, in conjunction with Heratij are running a Rip and Recycle Earth Day Celebration! As part of the program Heratij will accept used snowboards from customers and in turn give them deep discounts on Launch gear. After the board is received and if they are still in rideable condition they get donated to charity. If not, they get repurposed as furniture or art. The goal here is to make sure people are on the best gear available while making sure their old gear does not end up in a landfill. As part of the deal at Heratij on Earth Day through Sunday customers trade in an old snowboard in exchange for 30% off of a Launch board as well as a free pair of Launch bindings and they will be entered for a chance to win a limited edition piece of snowboard art. Friday night’s event will feature a Meet the Owner of Launch session with Jon Callahan from 6-7 pm as well as a live performance by Super Movies and beer courtesy of Saranac . The whole celebration will wrap up on Sunday with another Meet the Owner session with Jon as well as the announcing of the winner of the limited edition snowboard art. The event takes place at Heratij, which is located at 513 Bloomfield Ave, Montclair , New Jersey. Hyped to see you all there!! Get out to NJ’s Dopest Snow Shop, only 30 minutes out of NYC in Montclair. Check their gear & join us! Come Crack a Saranac and get hooked up by LAUNCH SNOWBOARDS!! This entry was posted in Chris's Blog and tagged Heratij, Launch, Recycle. Bookmark the permalink.